SCUBA CANCUN is a medium size, family run dive operation based in Cancun that has over 38 YEARS of experience providing divers with fun, safe, and unforgettable experiences scuba diving in Cancun, Cozumel and the Riviera Maya. Scuba Cancun is the oldest running dive center in Cancun and the Riviera Maya and prides itself on its excellent service and attention that result in repeat customers year after year. Our dive shop was founded by Captain Luis Hurtado who recently celebrated his 65th anniversary in commercial, military and sport scuba diving. He is the first scuba instructor to teach Scuba Diving in Cancun and still looks forward to providing each and every guest with a memorable diving experience. We offer the best diving experience in Cancún, Cozumel and Playa del Carmen. 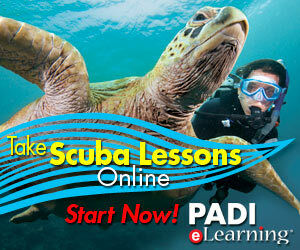 One or two-tank dives with certified PADI instructors. The PADI open water diving course is the #1 certification course in the world. You can finish your PADI course in just 3 days!